The scouts also have noticed that when James is running the point, he rarely looks toward the bench to receive play calls from coach Luke Walton. Even when he has seen them, the scouts say, he ignores them and runs the play he prefers. 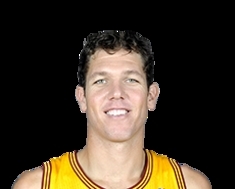 Walton has adjusted, and now when James is running the show, Walton will typically just let him call the game. This probably shouldn't be considered a slight -- it's just James being James. In fact, Walton has done a good job of limiting James' minutes and using the depth he has in the backcourt to attempt to ease the burden so James can be a bit fresher. He's averaging a career-low 35 minutes. Even if it took a bit for Walton to figure out exactly how James was comfortable in the rotation. There was a game in Minnesota early in the season when Walton removed James just five minutes into the game in an effort to set the rotation so James could finish each quarter. James was, to put it mildly, mystified. What do you guys think? Seems like Lebron would like to play more minutes as well. I guess this was inevitable, just a matter of time. It was not a question of “if” but rather “when” LBJ would take matters into his own hands. Part and parcel of the acquisition, something the lakers definitely anticipated would happen down the road. Lol. Not surprised but I'd be surprised if we try to go all in for Beal to get a quick fix. News flash, the Wizards want to get rid of Wall not Beal....lmao. And we dam sure don't need Wall. The F.O. needs to stay the course and let these young pieces continue to develop and push the chips in during the offseason to get an FA. LBJ knew what he was signing up for. It's not our problem the clock is ticking for him period. LBJ moved out west for his family, in particular to give his oldest son the best shot at basketball and to make movies. PATIENCE. Luke will get fired if he keeps doing this musical chair lineups. You could clearly see last night he was getting frustrated. It made me laugh because the play that showed it most was when he turned it over(may have missed his shot) and he just flung his hands in the air and made zero effort in getting back on defense. To help develop the core he needs to lead by example and be that leader, setting the standard. Although it won't happen, I would take John Wall, at 38 years old, in a NY minute. I for one am SHOCKED! I kind of saw this coming in a way and it seems like having Kobe on the court again except James is so much more effective since he’s not shooting 5 -22 from the field. I wasn’t a big fan of the move, I'm still not and I believe as much as these kids can learn from James, I believe James is hurting them. Lonzo doesn’t even seem like a pg out there because James runs the point, runs ISO’s, wants the ball on the break instead of filling the lane, etc. I was pulling for Luke but the one thing I can’t stand is when a coach doesn’t make the hard decision and set his lineups and he still hasn’t. I can’t stand when a coach goes with a “player that’s playing well” because it hurts the player. If a kid isn’t shooting well but another guy is then he will sit him as if there aren’t other ways to contribute. Hart’s shot isn’t falling like it was the last few games and not surprisingly, Hart as played a lot fewer minutes. Luke didn’t do this stuff on GS because the starters were just that much better than the bench guys but here in LA where you have guys who aren’t leaps and bounds better than the next, he’s struggling with it. Hart/KCP - Luke still hasn’t established who the guy is off the bench and it’s ot fair to either guy. Lol, it was something I knew was coming like you did. However, when I hear of stuff like this I get irritated with management because they had no patience and still don’t. Lebron being on the team upends everything that was going on in LA and then I have to hear idiots like Jalen Rose say there is no time to develop the kids. They already let one kid walk for absolutely nothing because they wanted to hoard cap space. That kid is dropping 18 and 8 in NO off the bench while shooting 55%. Now I see how Ingram and Ball are affected and I believe it will only be a matter of time before people want them traded because they’re not developing as fast as they would have liked or expected. You can’t add a sf who wants to play pg and be the main scorer on the team and not see other guys get affected. I agree with Gem. I'm also pulling for Luke but at the same time he is getting himself fired also with his dumb decisions on his lineups, especially not sticking with Ball in the 4th qtr, sooner or later he’ll get fired even the fanbase will be against him. I still felt either Kuzma or Ingram should come off the bench because they don't seem clicking well together with Lebron. Its 20 games now and i don't see improvements in chemistry between the 3. Its always been either Lonzo/Lebron/Mcgee or Kuzma/Lebron. Ingram is the odd man out. Poor off ball movement & inconsistent jump shooters.its a disaster. Blowout tonight and Luke will be gone very soon. Great post Gem. Not bragging, but I for one said all of this would happen. Don’t know how anyone could be surprised. The myth that James makes everyone better, has always been just that, a myth. Maybe with young players that were growing, but don’t look any better with him around, people will finally start to see it for themselves. Thanks JJ. We’ve seen the proof of guys not necessarily thriving under James. James may help guys who are spot up shooters but guys who aren’t spot up shooters really get the shaft like Chris Bosh, Kevin Love, Ingram and Ball. I’m so tired of him wanting the ball. Lonzo can’t even run a break without Lebron being in the middle wanting the ball. Not defending Lebron, because I actually don't care either way, as long as they win. Does make others better, but you actually do have to build team around him the right way. Can't have a bunch players that all need ball in their hands. And as far as the subject of this thread, what superstars in league have listened to their coaches all the time. MJ didn't, Kobe didn't, Magic etc. These players are on guaranteed contracts and most time they're out there doing their own thing anyways. What’s most startling to me is that during the last 5 mins Kuzma has registered 24 possessions of the ball while Lonzo only 18. I’m actually ok with Lebron handling the ball the most during crunch time. He is still searching for a go to guy and we have none. And I’m done whining about KAwhi. Lol. No way this team is gonna progress if you have Kuzma as the second highest ball dominant player during crunch time. I cringe when he brings up the ball. It has to be Lebron and Lonzo with the lion share of possessions. They are one of the best in the business. You cannot allow a bench player/ volume shooter to handle the ball, as it will lead to iso ball and no ball movement. MJ & Kobe ignored all of Phil’s calls?  You’re joking, right? As far as making players better, we’ve already had this discussion and I’ve listed dozens of players that became lesser players once they joined James. Read Gem’s post. Look at our younger players, none of them look better. Not a single person on her would’ve predicted that Ball, Kuzma AND Ingram would look this ordinary at this point. No, not joking. Phil wrote about Kobe , and MJ didn't listen, especially when Phil 1st got there. Maybe they are just ordinary, young players that left aren't exactly lighting league on fire on new teams. Zo, BI are all players that need ball in their hands. Lakers brought Lebron in, so it's up to FO to put right team together around him. As far as players becoming lesser, if your talking about other stars, well yes !! Of course they would. But I can list dozens more of rotation players that had careers yrs next to him. You need to stop with the ridiculous defending of your king. You can look at their numbers with and without him. Ingram for example doesn’t just go WAY down in points and assists, we’re talking about astronomical drop offs in efficiency as well, even fg%. There’s no defending that. He literally makes players worse. There’s really no argument to make. We’re not talking about having lesser roles, we’re talking about players are worse when he’s there. Astronomical? That's a bit of an extreme statement. What has astronomically dropped off? He is 0.3ppg worse off, his assist rate is down by 1.6 per game, which is understandable when you account for adding not only LBJ, Rondo and Stephenson too. He doesn't playmake as much. He is down on rebounds because our centers actually grab rebounds now. His efg has dropped from 49.7% to 48.5%. His Ts% went down from 53.6 to 51.7. His PER went from 13.8 to 11.3 which can be attributed to his poor 3pt shooting. All drop offs but again not astronomical. I've had my doubts about Ingram for awhile, I don't think it's necessarily LBJ to blame here it just seems he is either going to progress really slowly or the potential just isn't there. I enjoy watching LBJ play but he just doesn't fit with the Young core and I think it was a bad signing. No you come on man, Magic said reports are BS. Stop the Lebron hate, He's a Laker. Luke isn’t doing himself any favors by running these crazy lineups, it seems like he wants to experiment but they never end. They are mad cause they are the defenders of the legacy. Lol. Same peeps were quiet when kobe engaged the kobe system. Haha. Exactly, he coaches team when on court just like MJ, Magic, Kobe and most superstar players have done. If people thing these players listen and run offense or defense exactly like coaches say all the time, they're crazy!!! You can't literally expect LeBron to make 100% of players better that is on his team? That's ridiculous to think he will make every single player ever better and mesh perfect with him. It has always been said in general he makes players better, to me that means more time then not a player gets better when they play with him, not every single player. Lets look at a rooster that LeBron was on that is a very good example of what he is capable of. Cavs in 2007 - LeBron took the team below to the Finals (This is crazy they went to the finals) They beat a legit 53 win Pistons team to get to the Finals. The other example is the Cavs team this year, when he left. They literally have the exact same team as last year minus LeBron. But they are now the worst team in the NBA and it's not even close. Cavs will maybe get 20 wins this year, even with Love. That means the LeBron effect gave them 30 extra wins last year when they had him. How does that not show you that LeBron makes players around him better. Correct not every single player, but most. The development of a player is likewise depend on the talent and potential of that player. If a player does not have an exceptional talent in him, even you let the greatest superstar to play with him, you won't get the same result. In the case of Lakers, they have Kyle, Ball and Hart who has this exceptional talent and they listen and study LBJ's move. Forget Ingram, he has his own mind, thinking he will be a star next year so he applies his own plays and this has caused setback in his performance. Ah man, I wish I saved the post, his ppg per 36 with and without James went from like 26 ppg to 13 ppg. Some efficiency went from +12.5 to -0.5. Just crazy astronomical drop offs in ever advanced stat. I didn’t save the article. Maybe you’ll see it again. But it’s pretty bad. Wait, what did you tell me? Lol, like Magic would say otherwise. I know you aren’t referring to James! Not a top 5 player anymore. So i went searching for the article. 2 games of not being in the playoffs either. Not sure what your point is here lol. I told you before end of last season. That he was coming to Lakers, whether we liked it or not. But with Lebron on team , possibly comes a down side. Top FA's might hope elsewhere. I've never though he would come to Lakers once we got Lebron, to me the main reason to leave GSW is to take his own team to the top. If he joined the Lakers, it would never be his team that he took to the finals. On top of that he would get the same backlash that he got when he went to GSW all over again. I could see him going to the Knicks though. They are in the East and have a few good players. And that 100% would be his team that he carried on his shoulders. We will find out this summer how scared people are to come join LeBron, he 100% be helping us recruit and we will find out if it works or not. Personally I didn't see Kawhi or KD coming here anyways. Think Butler probably stays in Philly, depending how they finish season. Think Lakers will have to trade for a star player, if one becomes available. But also don't necessarily think they need another star. Just need to put right players around Lebron ( shooters) , that don't need ball in their hands. KAwhi coming here or not coming here wasn’t upto him. Raptors took a gamble on him and we didn’t. Anyways that’s why I felt Beal would have been an ideal candidate. He doesn’t need the ball and LBJ is quite high on him. He’s a great talent who is floundering in a toxic environment. Unfortunately it appears that they are targeting his running mate Wall. Lol. That’s a huge mistake if the reports are true. KAwhi coming here or not coming here wasn’t up to him. Raptors took a gamble on him and we didn’t. Anyways that’s why I felt Beal would have been an ideal candidate. He doesn’t need the ball and LBJ is quite high on him. He’s a great talent who is floundering in a toxic environment. Unfortunately it appears that they are targeting his running mate Wall. Lol. That’s a huge mistake if the reports are true. Wrong player Rich, we want one you represent in New Orleans. KD, as per above, totally disses LeBron and says that no stars would ever want to play with James. Or something like that. **** HIM! I might add KD sounds bitter. 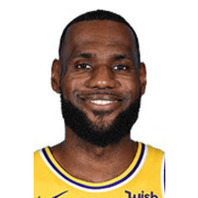 He makes a gazillion bucks, gets to win a ring he didn't really earn and gets to spit in LeBron's face on national TV. Again, **** him and the horse he rode on. He couldn't shine LeBron's shoes.